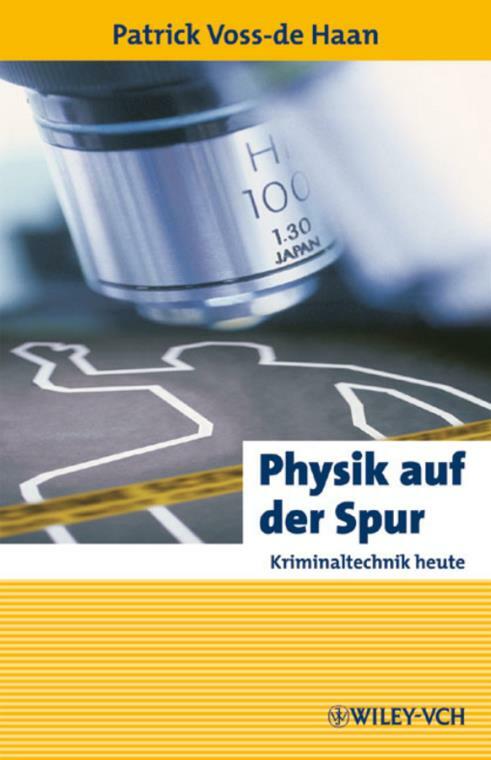 Here, Patrick Voss–de Haan, who has been working on scientific applications at the Federal Criminal Police Force for many years, presents a gripping and easily comprehensible introduction to the techniques and methods as well as current and future tasks for preventing and fighting crime. Together with various disciplines – physics, chemistry, materials science and psychology – forensic science is in demand when it comes to solid chains of evidence. The most important tool is the scanning electron microscope for investigating, for example, whether traces of the victim are to be found on the suspect′s clothing or vice versa. Voss–de Haan describes this and other cases in detail where natural science played a part in solving the case. The filed–off chassis numbers of stolen cars can be made visible again using etching and the type of toner used as well as characteristic marks on the glass can identify the photocopier which produced the ransom note. In short, the book shows what forensic science is capable of today, and the role played by natural science. A fascinating read for anyone who likes solving difficult cases.